New pension rules come into affect on April 6th 2015, which mean that over-55s will be given unfettered access to their pensions. However, these freedoms are peppered with new and complicated rules, which could cost retirees dearly if misunderstood. We have produced this booklet to share some valuable information (please click on the image below or this link to download) as we believe it is sensible financial planning to consult a Chartered Financial Planner so that personal, tailored advice is received and understood by retirees, prior to making any potential life changing decision. Please feel free to forward the Guide to any friends or family members you feel could be affected. 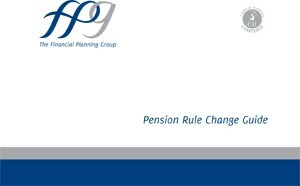 If, after reading our free Pension Rule Change Guide, you are unsure of the new pension rules, or you would like to seek clarity regarding what alternative options will become available to you by speaking to us instead, please call Tim Norris or Alan Clifton on 0800 731 7614 and we can arrange an appointment at our office in the heart of Teddington.